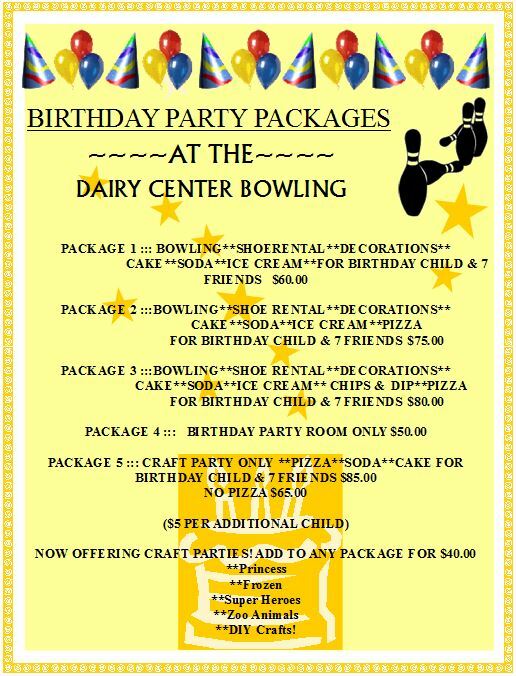 Click the picture above to view all of the packages we offer here at the Dairy Center Bowling Center! 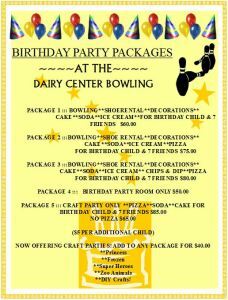 Along with the bowling, pizza, and cake you can now add crafts! Add a craft party to any package or just join us for a craft party! Our craft parties range in themes and difficulty depending on your child’s wants and needs, every craft party is led by an energetic and fun instructor! to book and reserve your party!